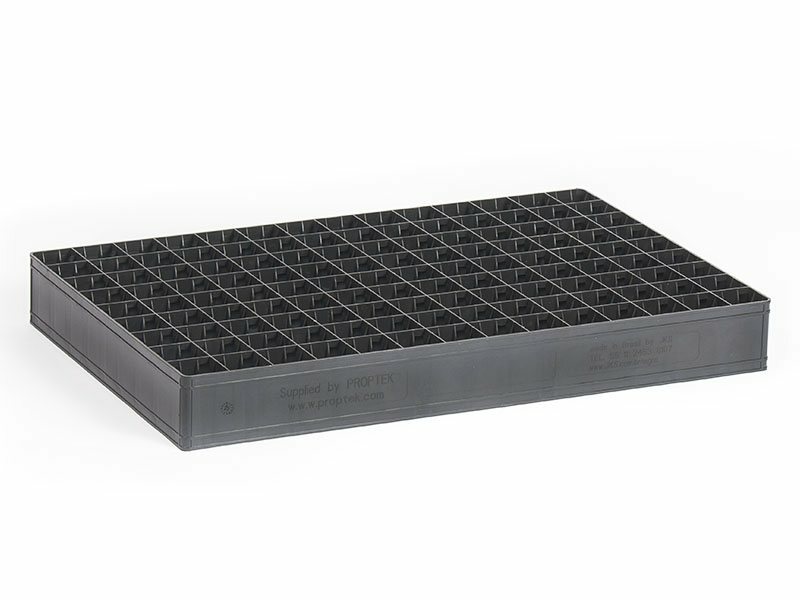 45 cell one-piece propagation tray. Perfect as a ‘rose pot’ replacement. Open design allows for excellent drainage/aeration. 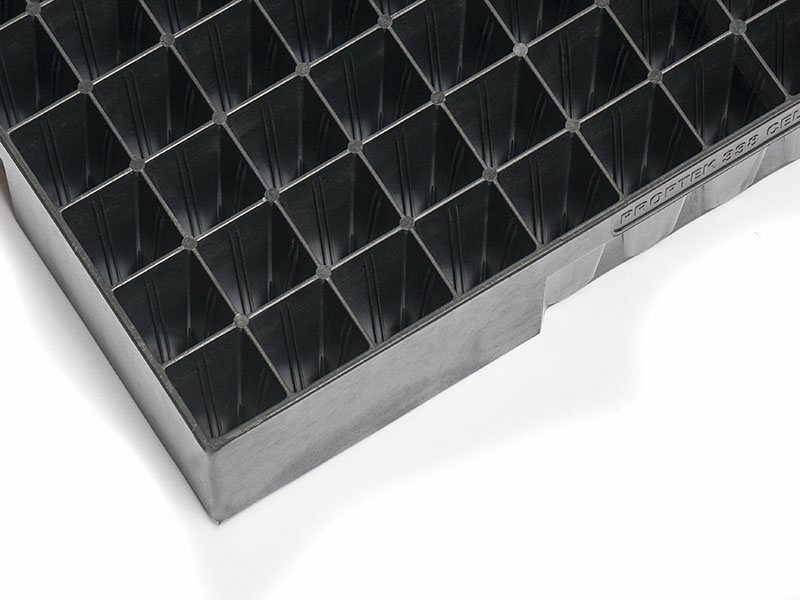 The tray is sturdy and an ideal design for automation. Cross-shaped base hole allows for easy plant extraction. Features Proptek’s air root pruning technology for exceptional quality natural roots. 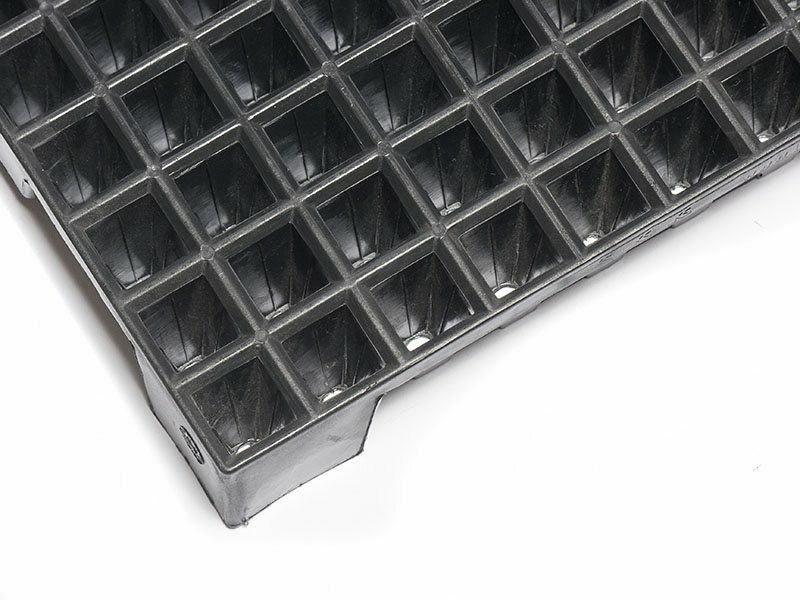 Spacer ribs between trays allow easy de-stacking, either mechanically or manually. Excellent drainage / aeration for wet/dry cycles. Suitable for a wide variety of plants. 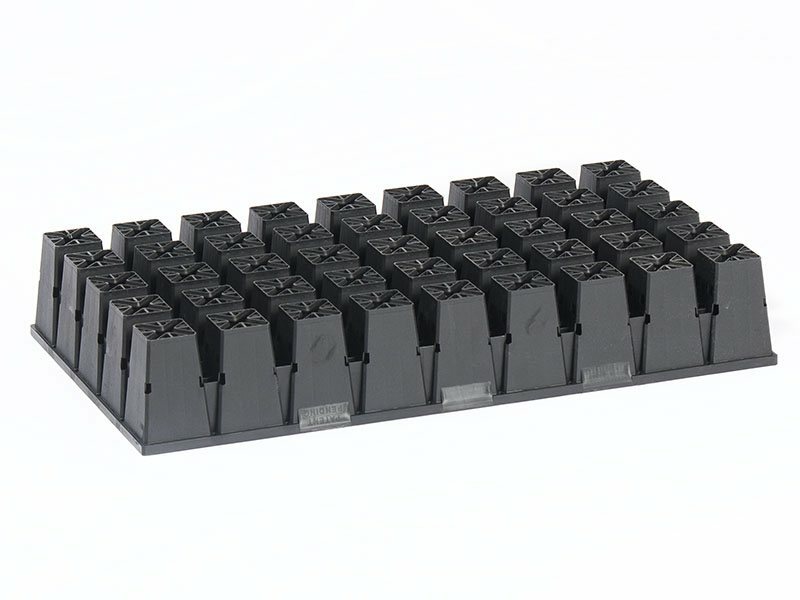 Injection molded for long life and easy handling. 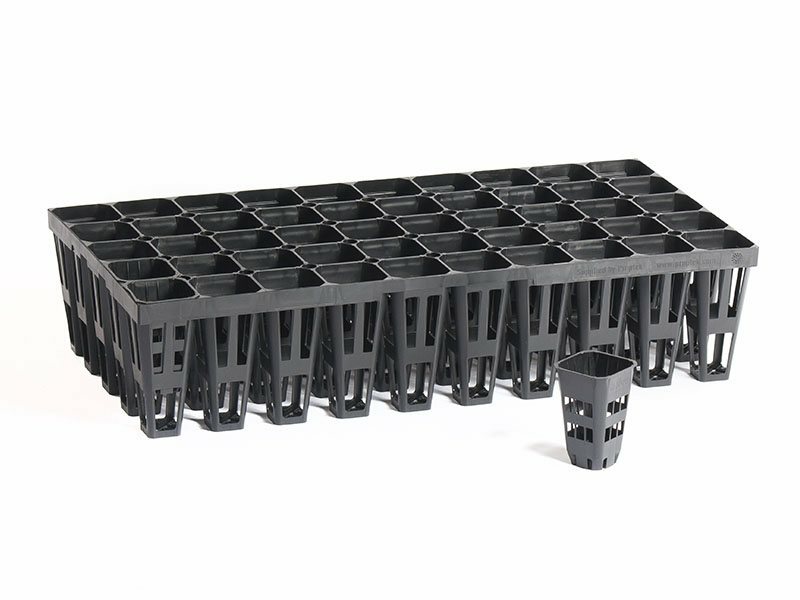 This one piece 45 cell tray is equivalent to the traditional 2.25” “rose pot” in spacing terms, but with extra features to ensure excellent plants and efficient operations. 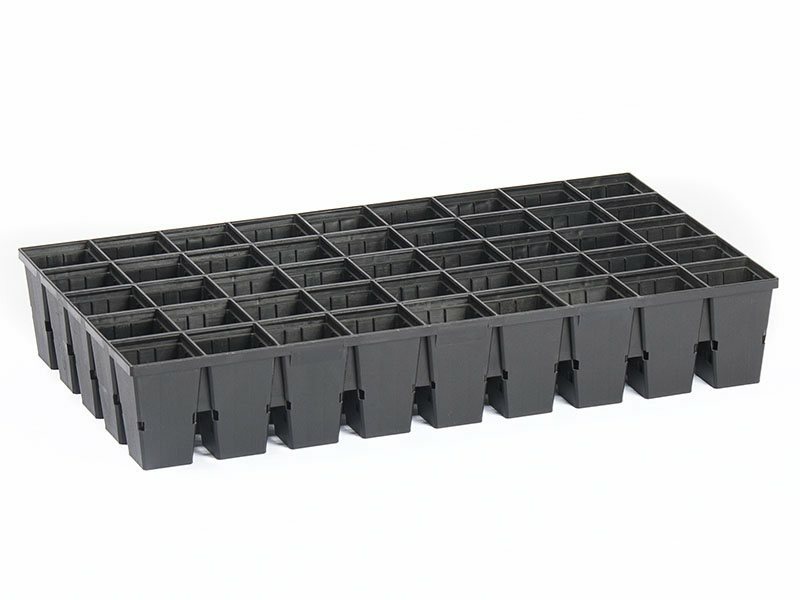 The 45 tray is perfect for use in the woody ornamental and nursery stock propagation market, though is suitable for a very wide variety of plants. 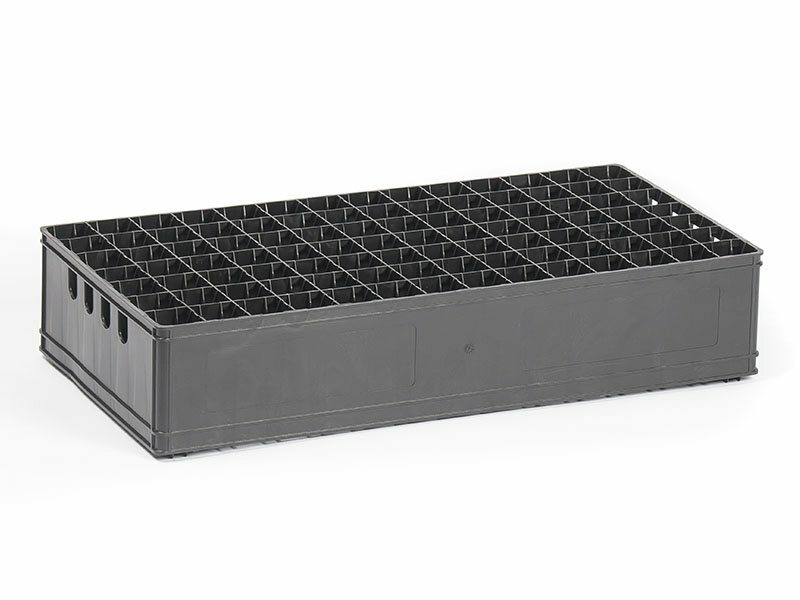 This is also a good size container for the propagation of hemp seedlings for transplanting to the field or greenhouse. 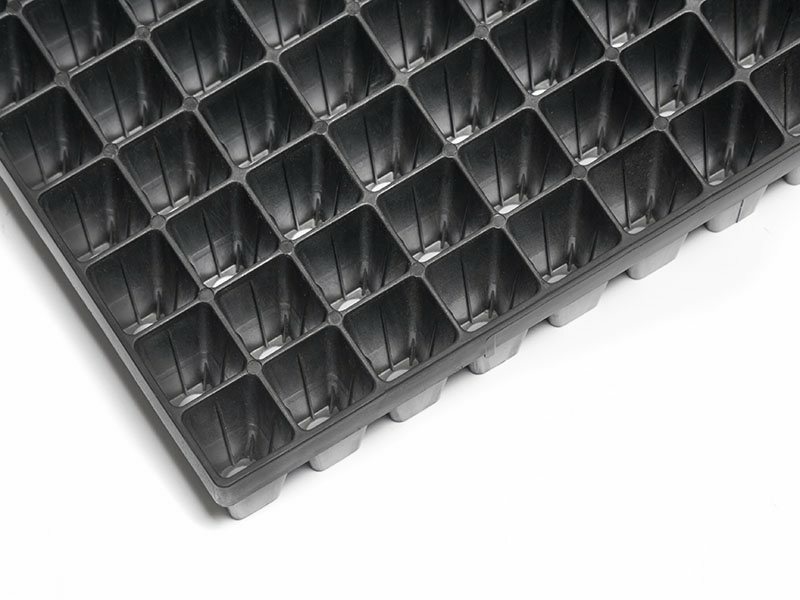 The open design allows excellent drainage and aeration, but the solid outer wall prevents cross-rooting between trays. Root circling is eliminated due to Proptek’s specialist root training ribs and air root pruning windows. 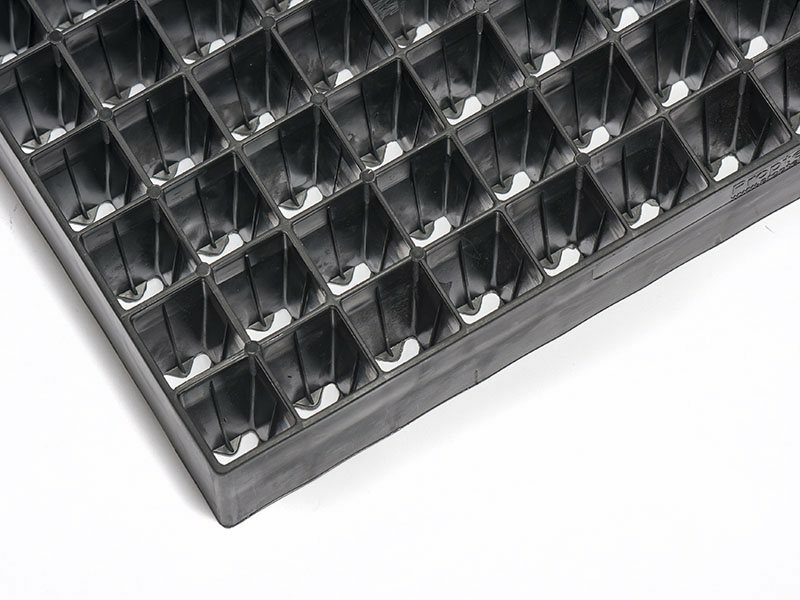 Due to the specially chosen cell angle, exceptional roots and tough injection molded design, plants pull exceptionally easily. 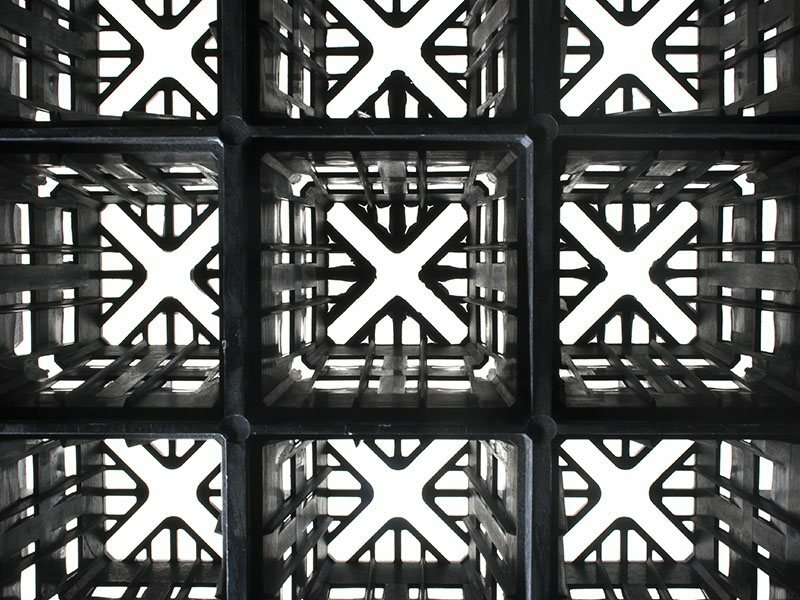 The cells also feature a cross-shaped base hole to allow for extraction from the base by pushing up in corners where roots are concentrated – prefect for cost-saving automation systems. 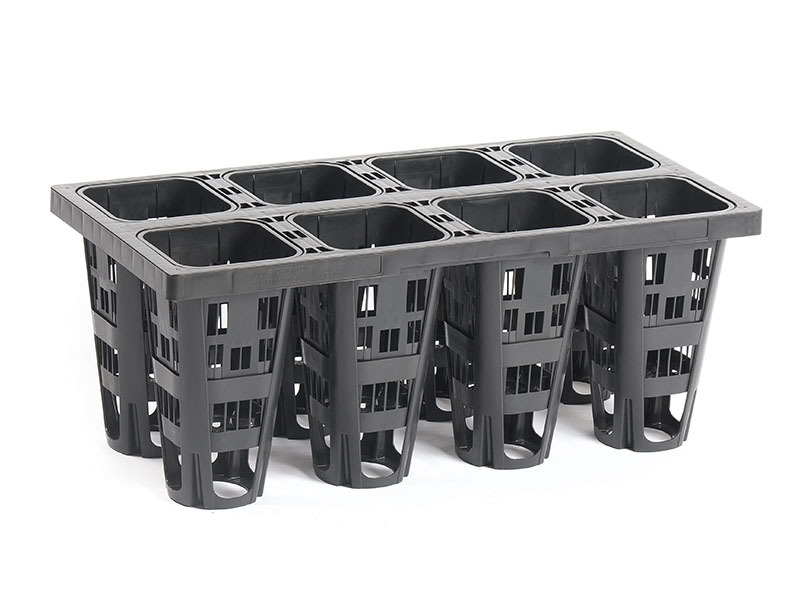 As with all Proptek trays and containers, the 45 is injection molded for long life, easy handling and trouble-free mechanization. 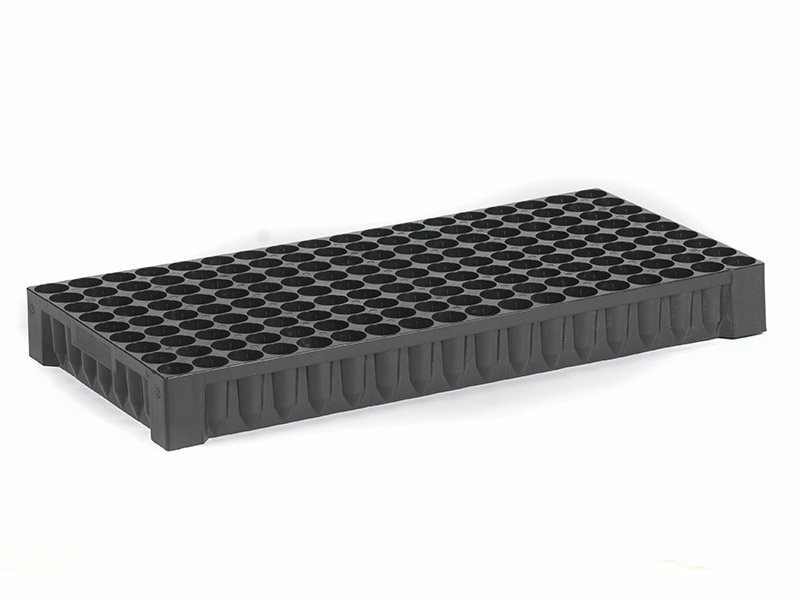 I use the Proptek 126 cell tray for my 35mm Ellepot rootstock production with great success. 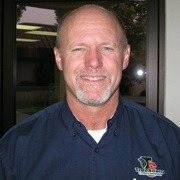 Root pruning is a key factor, very little contact with the Ellepot allows air pruning to happen. The trays are also very sturdy with multi-year use. 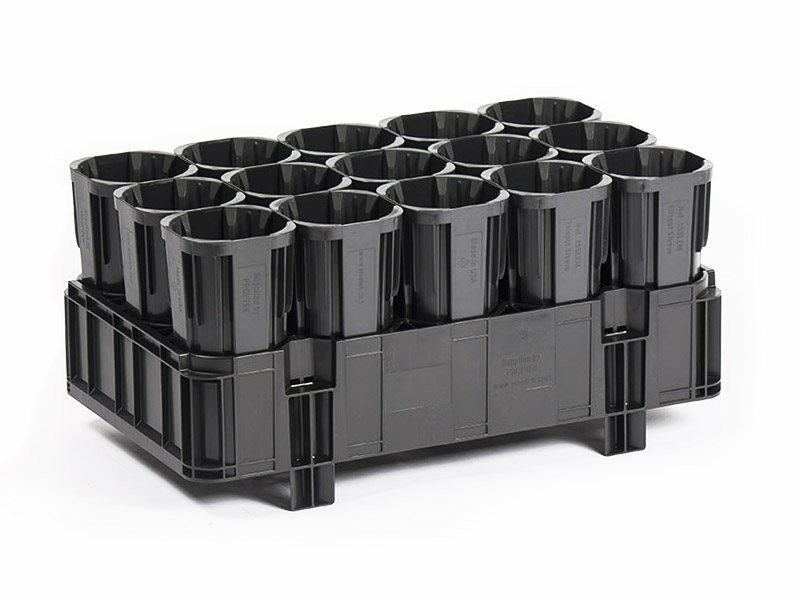 I also extensively use the 8-cell sleeve and tray system from Proptek. This system is superior to any other tree pot out there. Again, the air root pruning accelerates the growth of the tree without allowing circling roots. When the trees are transplanted in to the ground there is little to no transplant shock allowing the trees to truly take off. 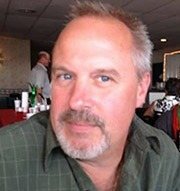 Proptek is my go to source for quality growing products.